Thanks to all my fans and supporters. Without you and your support I could not write and record these songs. I would like to THANK my wonderful wife and family who has stood by me during this time. To all of you who listen to my songs and purchase the downloads.....A SPECIAL THANK YOU. I love country music and love to sing country songs which tells of stories rich with mountain heritage. 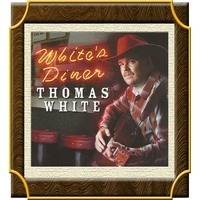 Again, Thanks for listening.... Thomas K White.